I’ve never really kept a diary. Younger versions of myself have eternally been enamored of the idea: a tiny special book with a tiny special lock and a tiny special key the trappings of which would enable one to spend daily meditative time alone exploring the wild, wonderful, and occasionally dark recesses of your own beautiful mind and noting them for posterity. I ended up with a few physical diaries in my early days, most quite pink, with gilt edged pages, and inevitable unicorn motifs and the key (! a key for fairies ! a key for setting magic boundaries as if with a tiny spell !) that I would immediately put in one of the series of tiny boxes I have been obsessed with for my entire life and then… forget about. Any attempts I ever made at putting down *feelings* always came out cringingly upon revisiting them even hours later. The ritual of the diary, the strained self-reflection seems… terribly self-involved? (she says from these pages which are wholly about her own self and srsly what is this dern whole blahhhg thing anyway if not a dang diary? We’ll leave that there). Acknowledging my frilly inability to keep a journal in the traditional sense, a slightly more grown-up version of myself then became enamored of the idea of the 5 Year Diary. Seeing the sturdy little volume on Miss McKay’s beautiful desk in her sun-slanted Oxford studio, delineating quick’n’dirty what she did on that day today and, at the beginning, projecting 4 blank days of possibilities into the future, and (if you kept it up) at the end, a referential document on how you spent your days and seasons for the previous 5 years. Surely I could manage to keep up with that? If I did it I’d be creating a tangible physical record of who did what where when and just the remembering of the event, daily-reminder-style, as I wrote in today’s reveries, would bring with it again the feelings of June’s first cascade of fireflies, of dipping into the coldest water I ever did dip into at the Lac d’Ayous, of eating oysters in Tomales Bay, of making dinner with Sweetheart after a long day of work on the random quotidian Wednesdays in that brief but wonderful season (hello, January, 2015) when we were completely obsessed with making ramen from scratch. 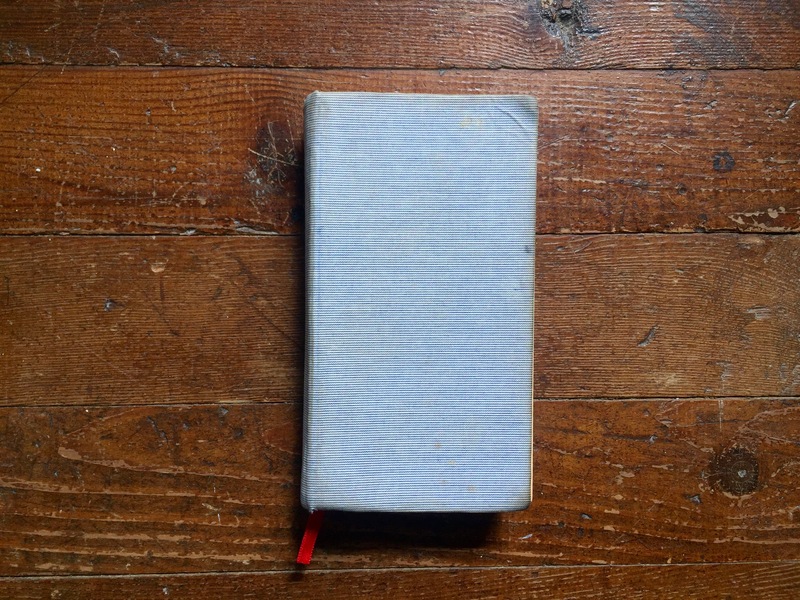 So I got a 5 Year Diary and it was my constant companion, on my bedside, in my carpet bag, getting delightfully care-worn with the juices of roadside berries and pages crimped from salt air mists. And I kept it religiously, every day from January 21st 2014 through November 15th 2015. Then I fell off. The diary went into the mouse hole in my old desk (which, since the last known record, has moved south six states, is now painted dove grey, and holds my ever-expanding-collection of birds nests). This coincided with, perhaps obviously, me falling off here, writing in a flurry of monthly and/or seasonal recaps as if to say “hello! I’m here! the dream of the diary is alive!!”. 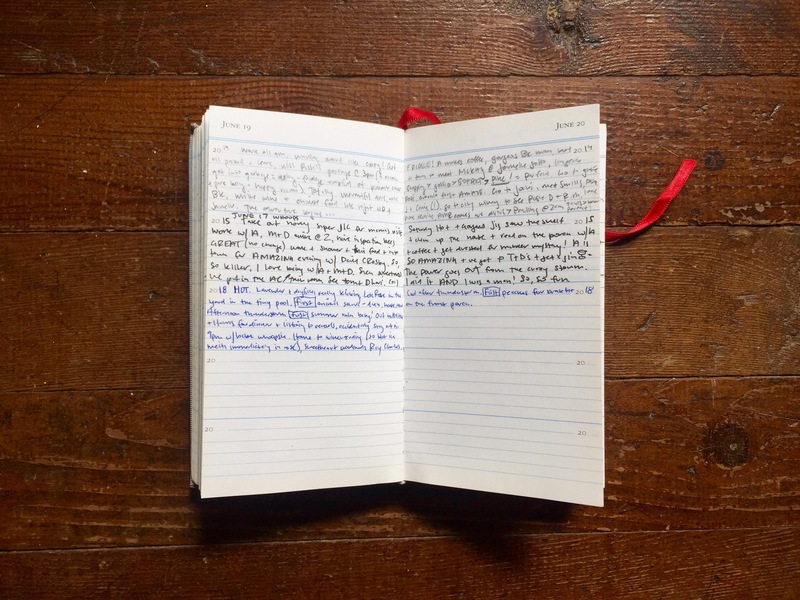 After all, part of the reason I started writing here was to capture those parts of diary-keeping that were compelling to me. Less angsty poetry, more exercise in examining the rhythms and contours of my life and to have a place for remembering and reminding myself of the true beauty and history of life lived well, of annotating of the living of the dang thing. With pictures. Classic and perfect, Daddio. He was (as he almost always is) definitely correct. In fact, yes indeed, I would, yes please, so very much like to record the daily activities of my first year with my Thunder Babe, the electric spark, the elemental shift, the Pisces, born in late February 2017, the day my camellia bloomed for the first time, my brand new daughter, my Lois Rose. Or not… you know, if it doesn’t feel right, that’s ok, too. “Be gentle with yourself, wonderful girl”. 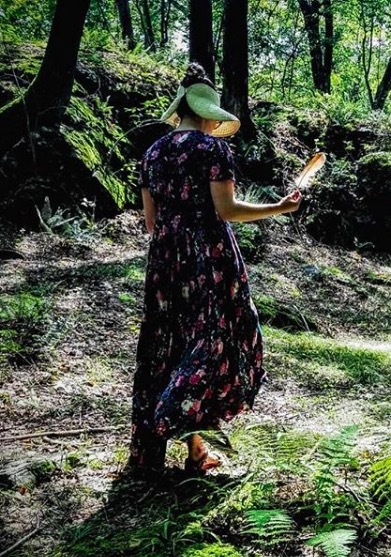 But, the same dreamy desires that compelled me to attempt to capture the fleeting joys of summery afternoons and footloose roadstrips of adventure-seasons past surely would take a brand new power and potency when documenting A WHOLE NEW LIFE. So I kept a new Journal. A new way of being. A new…everything? Lois’ diary (like everything about Lois) was different. The wonders of these days were, on their face, smaller and quieter than the sweeping vistas of grandiose “before” adventures, simultaneously more mind-blowing and miraculous and more achingly mundane. Every time she did something for the first time I put a box around the word “first” so that reading back on it my heart expands with the simple wonder of the continual stream of “first” things. First dog (Finn), First sunset stroll, First time wearing my work overalls again since being pregnant (me), First time wearing shorts ever in her whole life (her), First Passover Seder, First roadtrip, First time sleeping in a new place, First time meeting her cousins, First trip to Manhattan, First run-in with the NYPD (hai, Papa), First time on a beach. And that was just the week of 4/10/17-4/16/17! Six weeks in the world and already been to Sahadi’s! My mind explodes with the possibilities on what to write here about Lois Rose, but that’s dangerous territory. The multitude of feels and potentialities of things to share (and things to keep close to my heart like a tiny burning ember that I alone have nurtured in serene darkness) makes it almost impossible to begin. That kind of massive collective synapse gap can keep someone from writing ANYTHING for, oh, about two whole years. But the diary? What happened? That’s simple. And the constant reminder to be aware of newness, to slow down to acknowledge the wonder of something like never even knowing a dog existed and then… meeting one! And having that dog be Finn-dog!? Or, conversely, the subtle push to be present in the beauty of the simple daily ritual: the walk to the end of the road and back, the shared breakfast on the porch, the daily summer afternoon swim, the endless hours the cat spends under the woodstove… those things are basically the “cinnamon raison d’etre”, as R.S. used to say. The miraculous in the mundane. Who doesn’t need more of that? When every single day of Grandaddy’s Day Book was filled up with all of the tiny-massive goings on of 2017, I was at an impasse. Do I get another Day Book? Do I stop keeping a record at all and count on my memory (and the rose-colored-glasses version of my memory immortalized on Instagram) to be enough? Will I feel guilty if I don’t use a sliver of my precious free time to record an entry or can I let it go since quiet spots of time are like diamonds these days? Will I regret this later? What is time? Who am I? Did someone just say “mama”?… and then January 1st, 2018, Lois Rose took her first bath in the square tub of my childhood and swum on her belly like a tadpole and I took the path of most/least resistance, got my 5 year Journal out of purgatory, and wrote it all down. Again and Again and Again. Every day up to today and again tomorrow. And Again, I am here. I don’t think I’ll be up to writing here every day, but I want the record to live. I want more places for wonder in the world. I want the tiny key in the tiny box and I want the tiny babe to have it all, SEO’d with pictures, and so here we are. I see you. You are seen. This all happened. We are together. We are alive. Welcome back! So happy to see you writing and sharing again. This piece is, of course, beautiful, beautiful, beautiful. I encourage you to keep up the daily jottings, about Lois Rose in particular. I wish I’d done that with Keith and Russell. I had every intention, but never did, appeasing myself with, “Oh, I’ll remember everything”. Not true!